As we are preparing for the Resurrection this week, we like to reflect on how we are helping to spread the Word and the Good News. Our business, Born Again Pews, is about building the highest quality church furniture at an affordable price. The idea behind our business is that when churches spend less on church furniture, they have more money for other things, one of which is bringing the Good News to others. 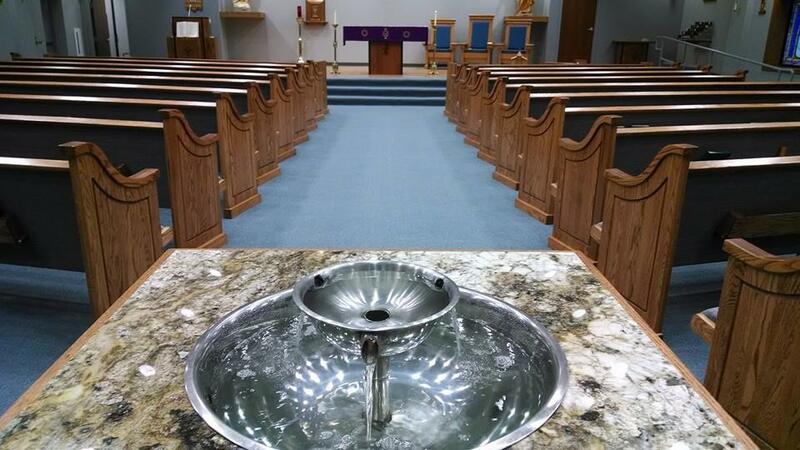 We recently installed church pews at Our Lady of the Assumption Catholic Church in Booneville, Arkansas. Our Lady of the Assumption was in a small building made out of stone, like many older buildings in the area of the Ouachita Mountains. With a lot of work, the church has moved to a new home. We are proud to be a part of the growth of Our Lady of the Assumption and help bring the Word to more people through their church. As we get closer to Easter, it’s important for us to look at our work in our lives to bring the Message to more people. What are you doing to bring the Resurrection to others and help them accept Jesus as their Lord and Savior? Part of preparing for Easter should be about reflecting on what you’ve done over the last year to act as a servant of the Lord. We love working with churches to help them grow or better serve their congregation and have helped countless churches over the last year with affordable, quality church furniture. If you’ve ever wondered what the process of building a church is like, Our Lady of Assumption has a great Facebook page where they’ve been chronicling their work towards their new church. Building a new church, however, is a lot more than just the structure of the physical building and the thing that go inside it. It’s also a lot of time, sweat, effort, and planning well before anything hits the ground. If your church is planning on growing this year, call us and we can help guide you through part of the process of building your new church. We even provide free quotes to get your church started.